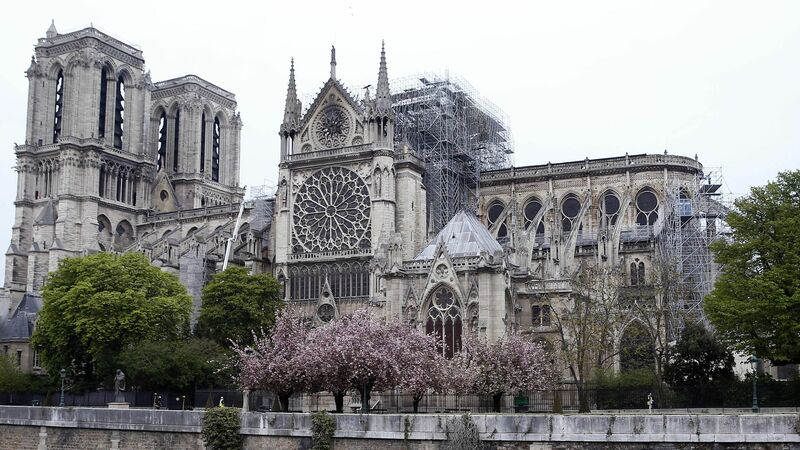 More than €900 million ($1.1 billion) has been donated toward the fundraising effort to rebuild the Notre Dame Cathedral after a fire ravaged the building's roof and spire, Presidential cultural heritage envoy Stephane Bern told broadcaster BFM Paris Tuesday morning. Why it matters: French President Emmanuel Macron said on Tuesday he wants the cathedral rebuilt in five years. People from around the world expressed their solidarity within minutes of the tragic fire unfolding, and companies and foundations have stepped up to help stabilize and rebuild one of Paris' most iconic structures. What they're saying: The French prime minister said Wednesday that France will have an international architects’ competition aimed at "giving Notre Dame a spire adapted to techniques and challenges of our times," the AP reports.